Are you looking for a new job? It could be that you are a fresher from a business school or a seasoned business analyst looking for better opportunities out there. Well, in either case, you would need to come up with a business resume. The prime focus of the resume samples would be to protect you in the best light so that you can stand out from the crowd. 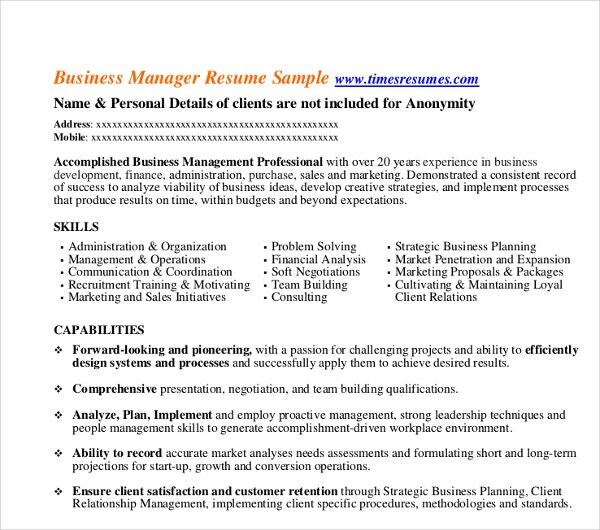 You can take readymade business resume templates online for help. 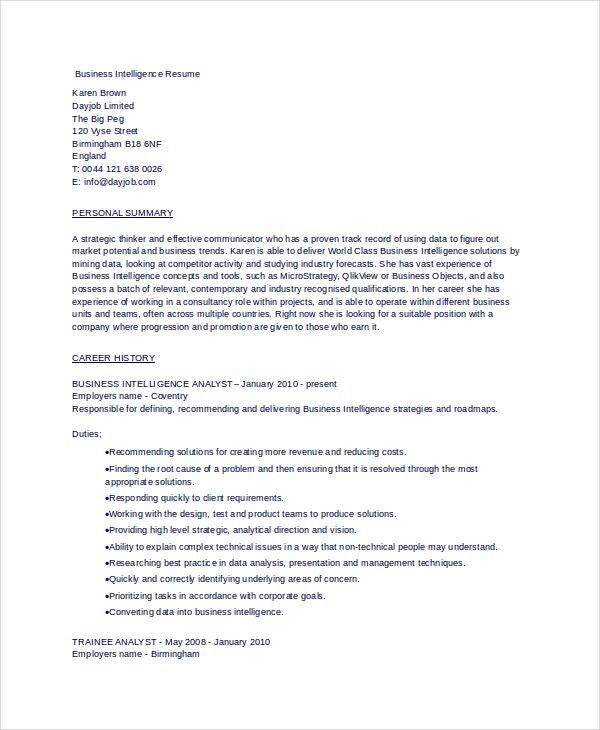 This business analyst resume has done a smart job by offering the qualification highlights right at the top which is followed by the professional background in chronological resume order and the educational qualification. 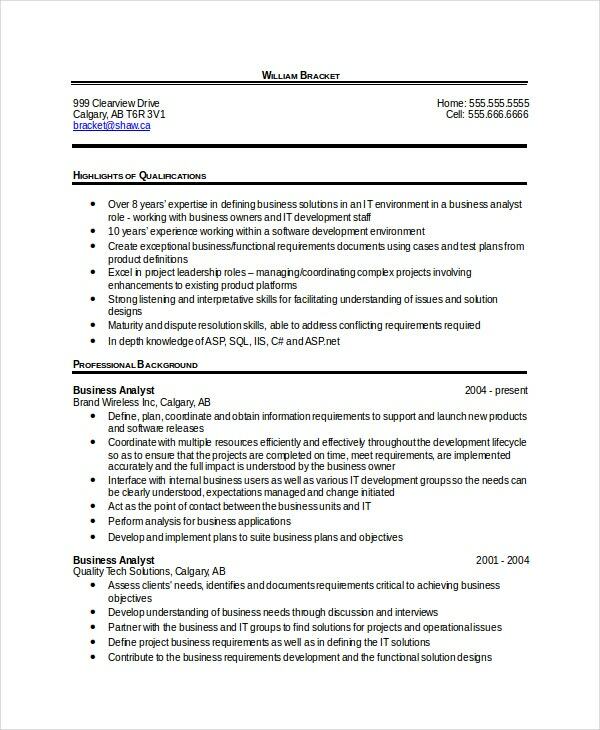 This business resume begins with a smart appealing professional summary followed by an elaborate work experience in chronological order along with the chief accomplishments. It has done an intelligent job by providing the major data in bullets. 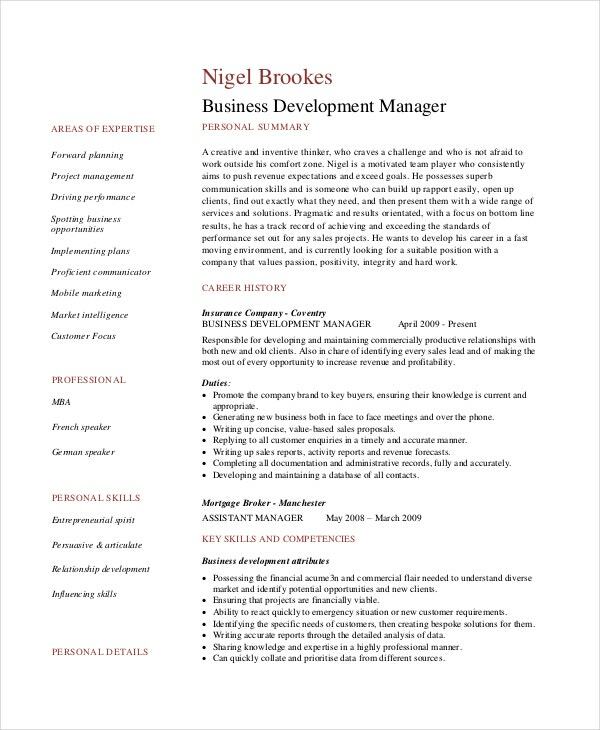 If you are looking for professional resume formats for a business development manager resume, this resume would be good for you. 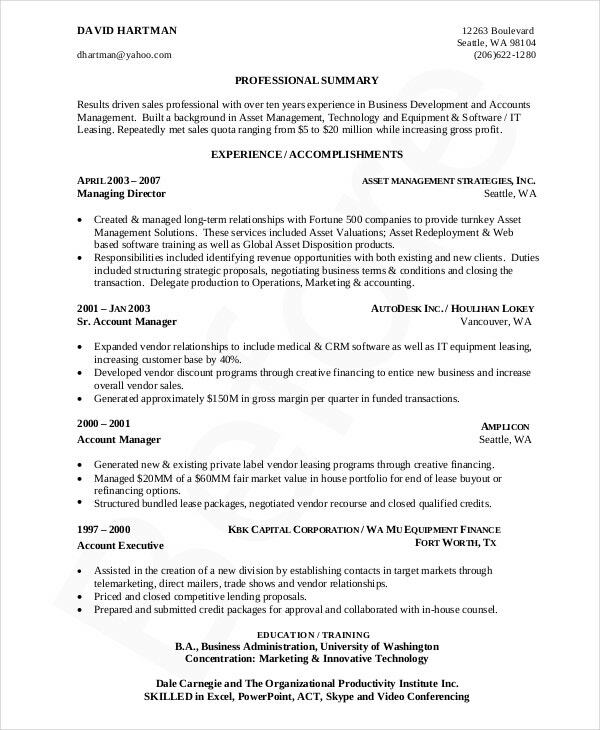 It offers you a neat format by arranging the resume in two columns for an easy readability. 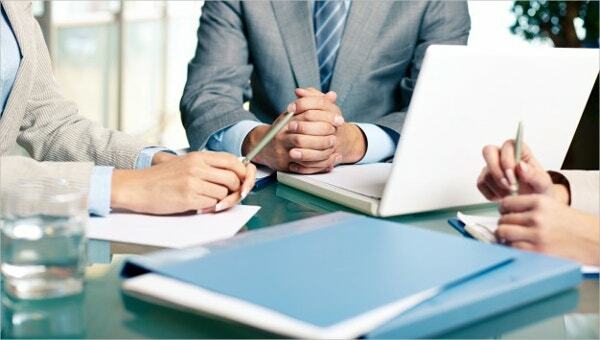 The business resume begins with a robust professional summary and then it goes down to detail work experience, duties, key skills, and education. The left part is left for areas of expertise and skills. 1. 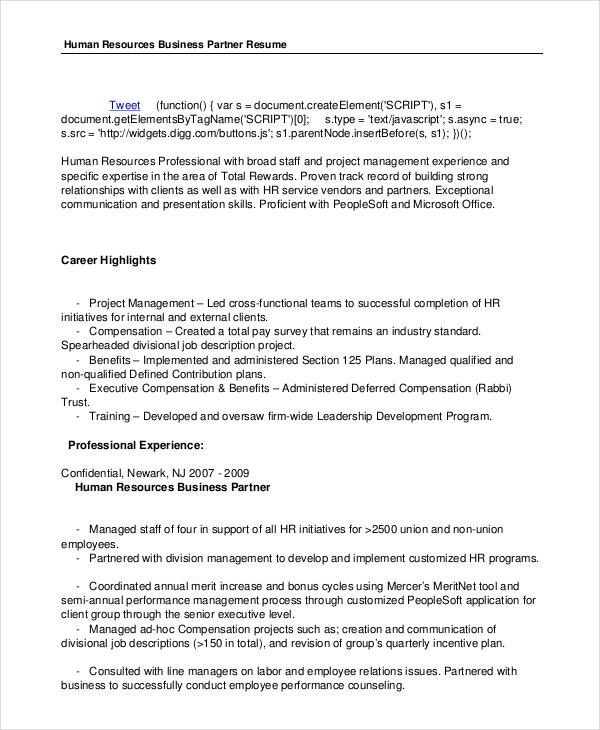 What are the tips for writing a Modern Business Resume? If you are looking to stand out in the crowd, you have to come out of the plain text format of your business resume. 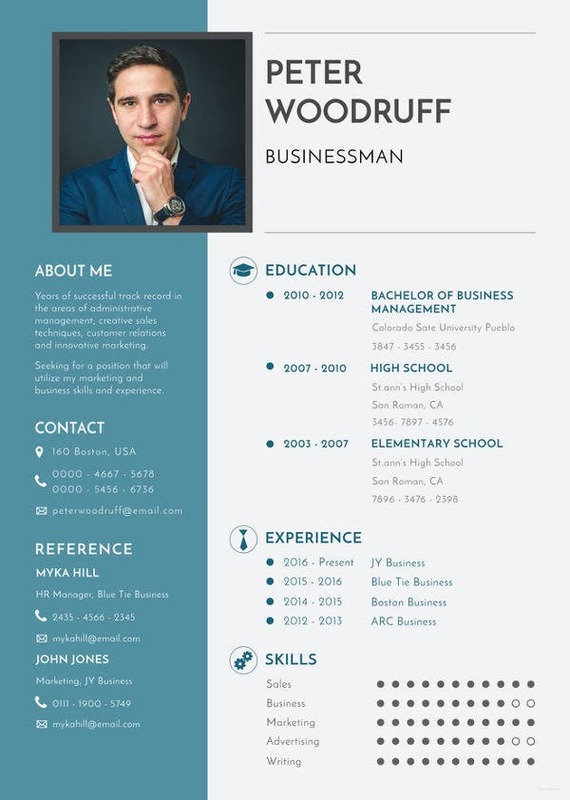 One of the best tips here is to go for infographic resume as it’s the age of graphical arts today and these allow easy readability at a glance. Then, you can think beyond the conventional Times New Roman font – for a change go for trendy fonts like Georgia, Calibri or Cambria. It would mean a refreshing take on the hiring manager bored with a heap of almost similar resumes on his table. Take to active links for your LinkedIn profile as well as other social networking accounts that would be checked by recruiters. You should avoid being generic or vague in your business resume; otherwise, the recruiter would not be able to exactly measure your competency. Rather you should type in your accomplishments in actual figures for a clearer view. Then, don’t make the mistake of not listing your skills – 35 percent of recruiters have claimed that they usually dismiss a resume if it does not come with skills. Besides, do not try to squeeze in too many data in one page as it makes the entire thing clumsy and illegible. Take more pages if required and make sure to present a neat format. Finally, do not submit any incorrect information. 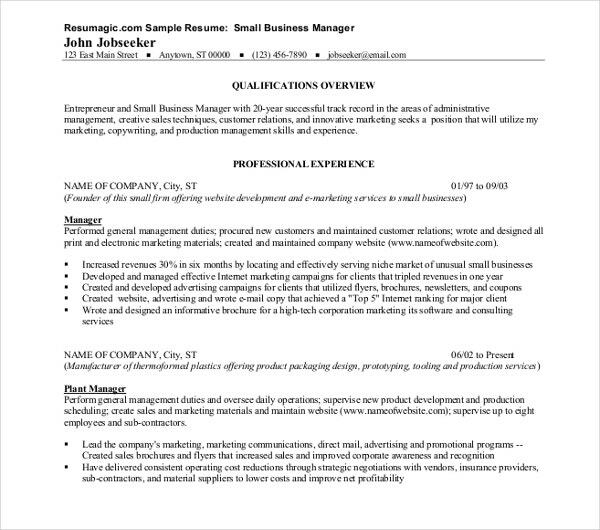 Do you need some guidance on resume objectives and the overall formatting of your business resume? Well, the templates mentioned above would be the thing for you as they have come up with a versatile range of professional business resumes. You can simply download and customize them with your own resume data.